How to Edit Style Unite Revolution Slider with CSS Editor? To edit style Unite Revolution Slider with CSS Editor, the first thing you need to do is to access the CSS Editor. 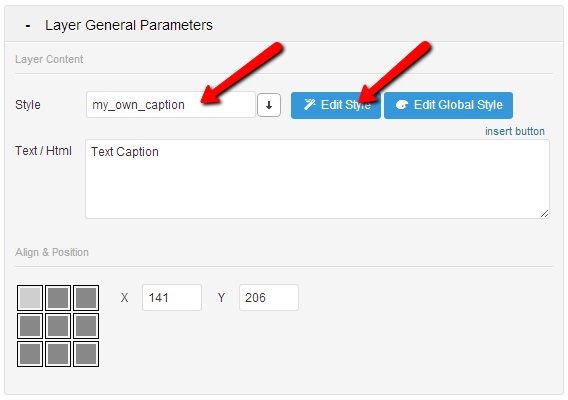 Step 1: Select the slide that you want to edit and select a caption/image/video. At the Style option, select the style. Note: the style name is the CSS class! Step 3: Click on the “Edit Style” button. 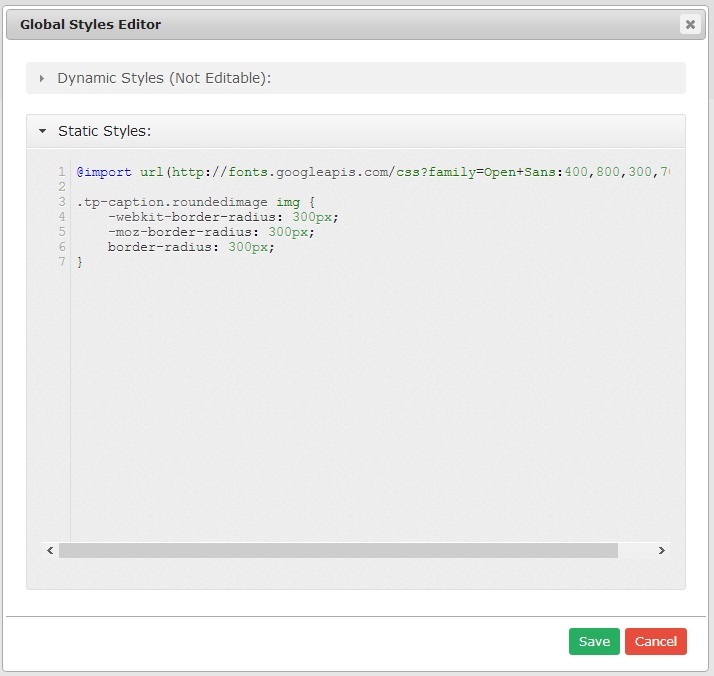 The style editor will be displayed. At the Simple Editor Tab, you can easily change basic Styles. You will find the earlier mentioned Fonts, at the Slider Settings Panel under Fon- Family. For Advanced Settings, you can open this tab and put all your CSS Styles for this CSS Class in here. Click on the Hover tab, then check the checkbox “enable: hover” if you want to enable different styles on hover. If there was no hover style before, it will copy the setting from the Idle state. Click on the “Save/Change” button to save your changes. Step 1: Select the style and click on the “Style edit“. Step 2. Click on Delete button and confirm it. Note: this step can’t be undone! 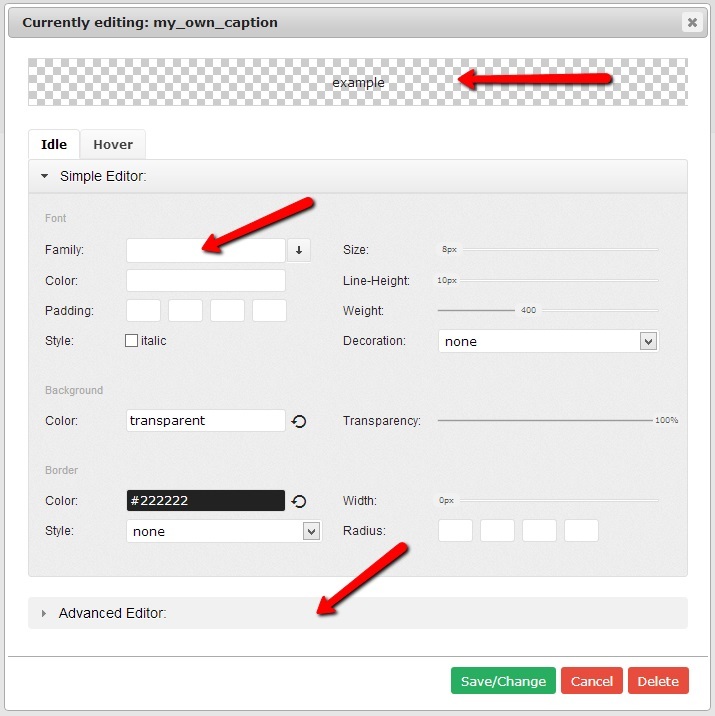 This option allows you to add Styles that can’t be done through the Editor. Step 2. Put your custom CSS into the Static Styles tab. Step 3. Click the “Save” button (green button) to save your newly added styles.